haha, in that vid of fender rolling, did the guy bend the rim in the last roll? Dang, I think so. I never watched it all the way to the end before. The course was pretty good but there were two big bumps that I didn't like. Notice the dip at about the 30sec mark. 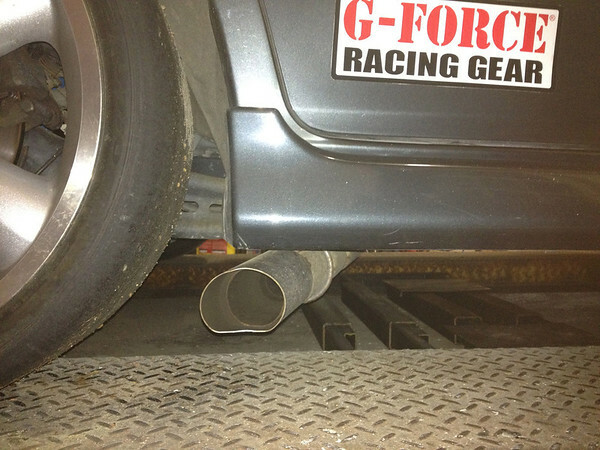 It caused the suspension to fully compress and my exhaust bottomed out. I was really surprised the exhaust hit. It's easily 4" off the ground. Take a look below at my (formerly round) pipe. There was another BIG bump at 39sec - the last right hander - that made the right front suspension bottom. The only other problem we encountered was when my co-driver ran over a cone and pulled loose a brake duct from the backing plate. Easy fix. Real happy with the changes we made to the rear swaybar. It seems we softened it enough to get rid of the "snap oversteer". It's still a bit loose - which is ok, but now you can induce the oversteer rather than it being a surprise. We didn't hang around for the results, but it seemed like we were a couple seconds behind the local "Hot Shoes". 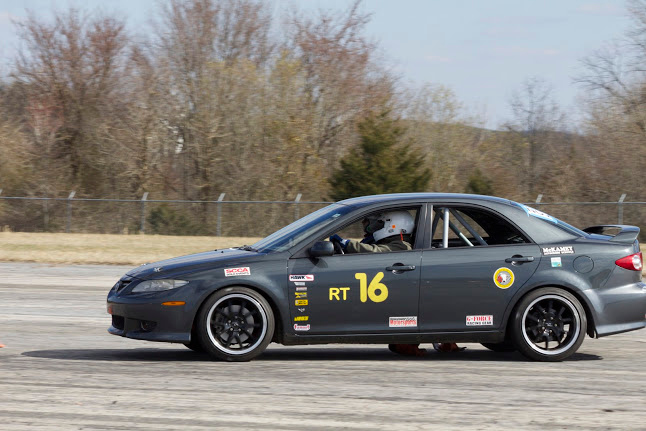 Now we re-torque everything, change the brake fluid, slap on some new rubber and head to VIR. Woohoo! With the new MFactory LSD installed, my MS6 brake upgrade and my new 275s on 18x10s, I've been itching to flog the car and see how it performs. 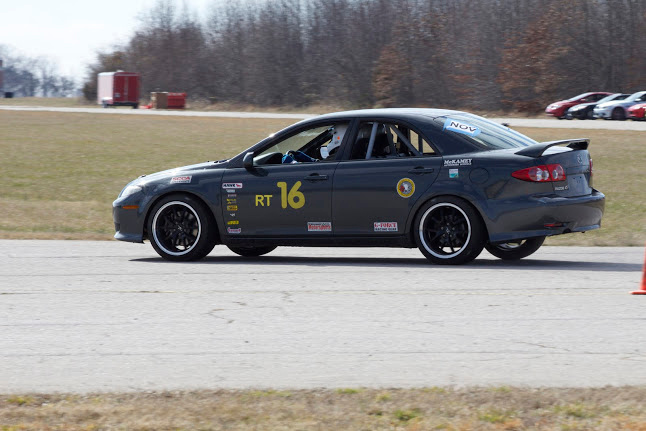 Here in the South, our autocross season starts in February with our first event being held yesterday. The Auto-x was 2hrs NW of my house and reports were that most of the snow fell east of me, so I figured "what the hell" and headed out. I arrived with a dirty car to find blue skies and no snow. 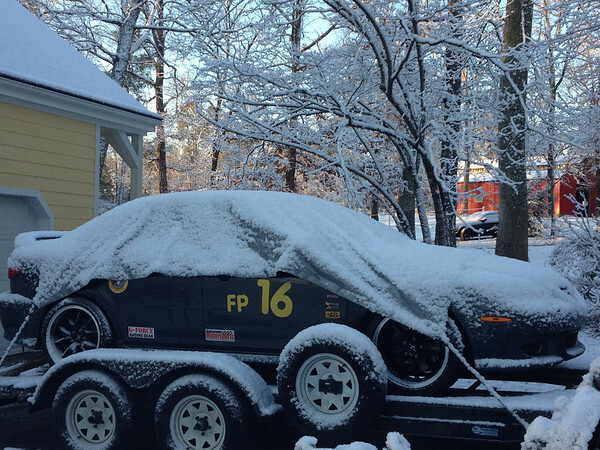 Between my codriver and I, we got 12 runs on the car as the temp climbed to a high of 35deg. I'll apologize now for the lack of pics and video, but for 6.5hrs we were primarily focused on staying warm and figuring out what was the strange noise coming from the car. The first 2 or 3 runs provided no meaningful data because the tires were so cold. 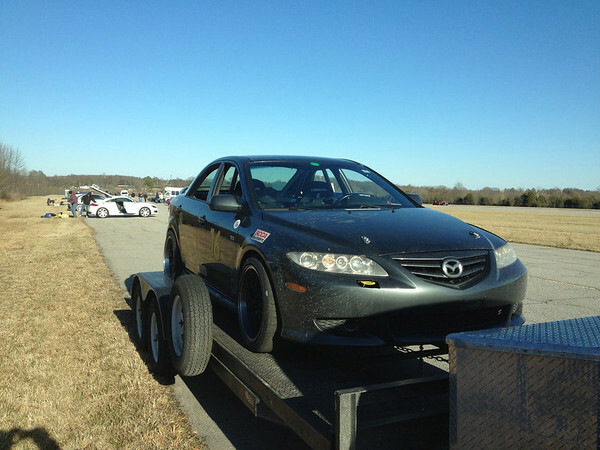 Once we go a "little" heat into the tires, the car was alot more predictable. 1. The MS6 brakes with HP+ pads are very good. Great initial bite and good pedal feel. Dirty as hell, but they are a track pad. 2. The LSD rocks! No "one wheel peel" as we exited turns. 3. The 275s don't rub in the front. 1. We began to hear a rubbing noise from the RF wheel every time we turned right. It was the inside top of the wheel rubbing on the knuckle. Normally, there is no relative motion between the wheel and the knuckle - the knuckle moves with the wheel. Upon further inspection, we discovered the bushing in the front-lower-leading control arm was sloopy - allowing the top of the tire to tip inward and rub the knuckle. 2. Rear tires rub just a bit on the fender. We'll be addressing these issue before the next Auto-x shackdown on 3/3. That's a pretty gosh darn minimal list for the amount of work & changes you had. Easily corrected. Haha at this rate you're going to be the next Stig! I love keeping up with your threads, you update with all the details we crave and it's awesome to see you racing the 6. Keep it up man! I guess I've known it for some time now and just didn't want to admit that there is such a thing as too loose. I spent this past weekend chasing the rear of the car. Out of 5 autocross runs, I spun 4 times - sorry only got the first two on video. I'll admit to some of it being technique (or perhaps lack there of), but both of my off track excursions last year were because of the rear breaking loose. I've done all I can with the 27mm rear swaybar to get it a bit softer. So, as much as I hate to, I'll be trying a smaller diameter rear swaybar. Next event - April 14th. A little drift action as the rearend starts to come around. Trying to sneak a couple of cones home with me under the car. No penalty if they can't fine the cones, right?